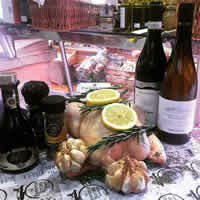 Our butcher classes are excellent evenings and can be given as a gift or organised for a group of friends or colleagues. 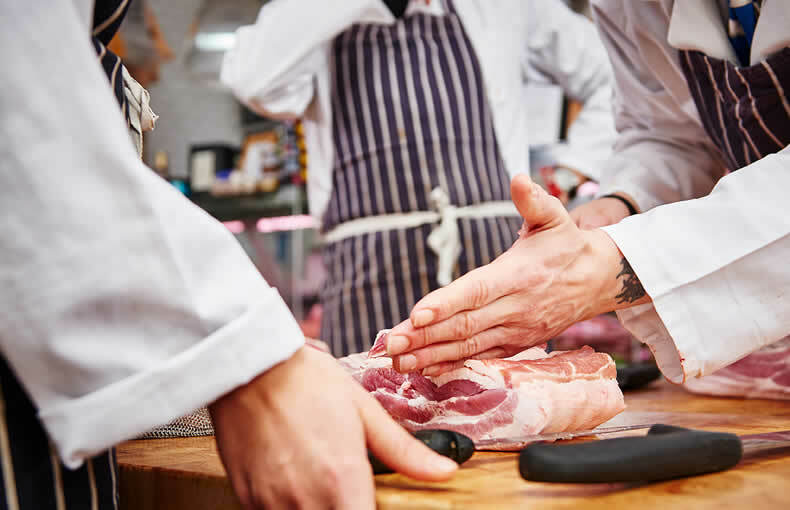 All students are provided with a butcher’s coat, chain mail glove, appropriate knives and equipment and work with our master butcher around the central table in the shop, each from their own block. 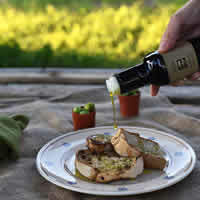 The classes last for 2 hours (approximately) from 7pm and are very hands on with lots of opportunity to ask questions. 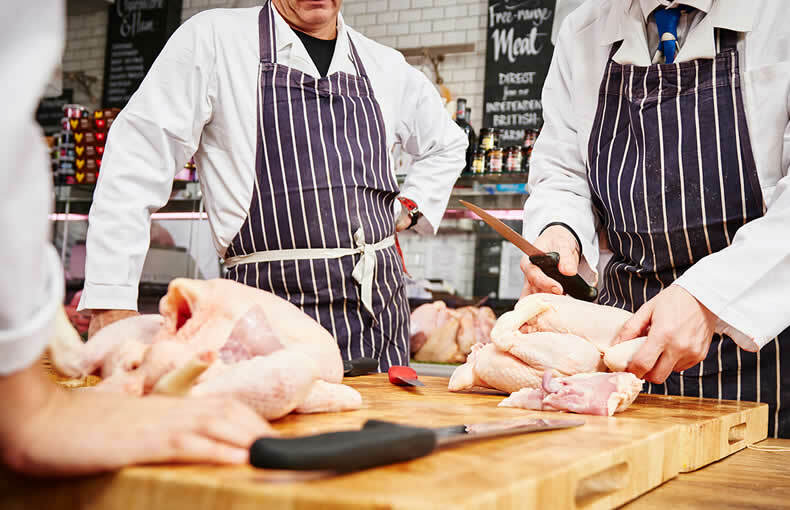 Our Master Butcher will work with you to prepare a variety of classic cuts and you'll leave with the skills to impress your family and friends from your own kitchen! 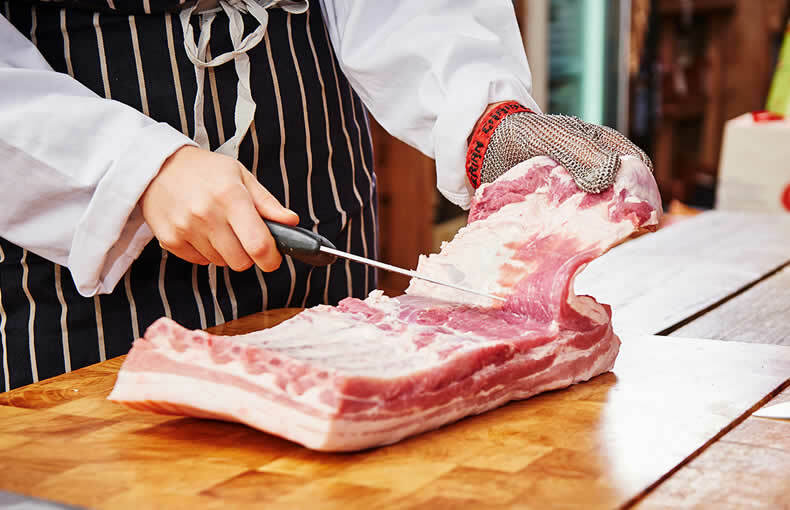 You’ll bone, trim, roll tie and cut a half lamb saddle, prepare a whole chicken to saute, bone, score, roll tie and cut for spare ribs a kilo of pork belly and prepare an oxtail for braising. 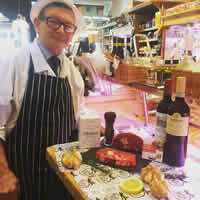 All meat worked on for the evening will be yours to take home along with recipes and a bottle of wine from our wine shop to match the meat. 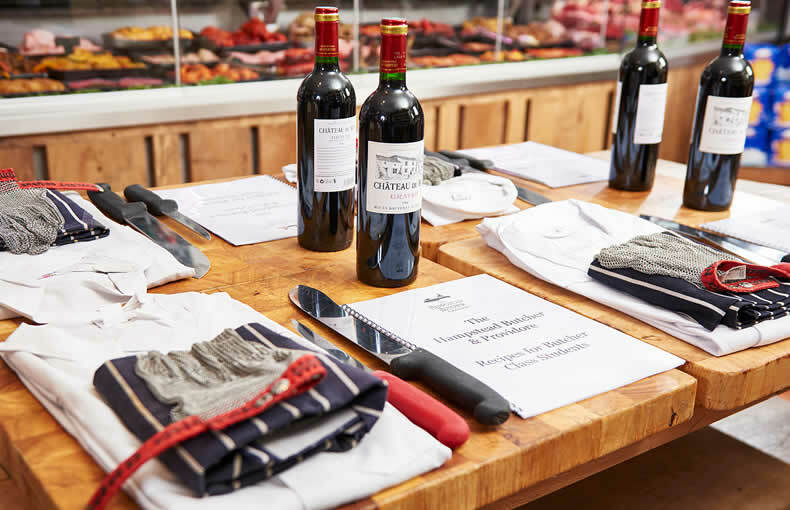 If you would like to buy a gift for someone but are unsure of the date, why not buy one of our butchery class gift vouchers? 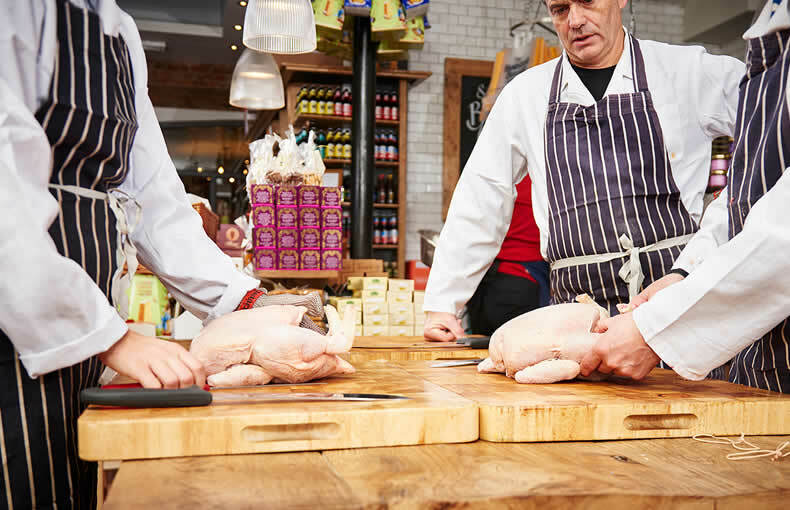 Our butchery classes are available to book online or you can send us an online enquiry or call +44 (0)20 7794 9210 to make your booking. Please note that all events start at 7pm. Please select the date you wish to attend from the list below. 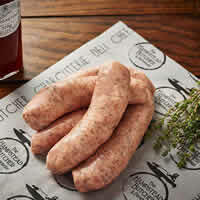 Hi Rian and Jason, it's Liam and Jess here who did the sausage making course on 24 January 2019. We just wanted to say what a great time we had. Rian was flawless and very knowledgable, particularly as it was his first time doing the course on his own. Thanks so much! 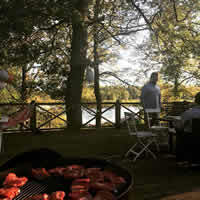 I just wanted to let you know that I was at your butchery class this week on Tuesday in Hampstead. Your butcher led us and he was excellent. He made the night a success and I am so happy with the result. Thanks again. I have one very happy fiancé thanks to the Hampstead Butcher & Providore. For Christmas, I bought him a butchery experience and tonight he got to do it. Thank you so much! Been meaning to go to a butchery class for ages, but wanted to get it right first time; I wasn't disappointed last night! Had the most wonderful two hours ever, against the beautiful backdrop of a dusky Hampstead evening. 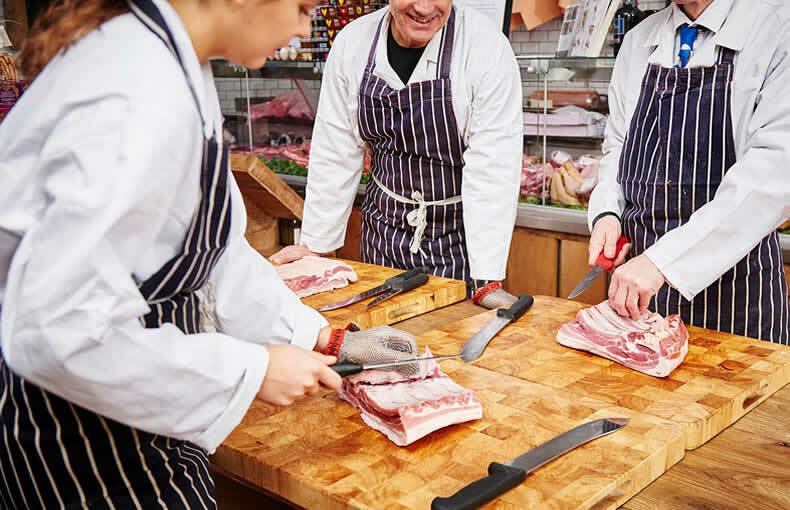 Your butcher's expertise and finesse with a cleaver is something to be marveled at! Hugely encouraging, generous, and knowledgeable, went home very satisfied and so much the wiser for a fleeting but memorable encounter. Thanks a million! Just wanted to let you know that your butcher was absolutely wonderful last night during the butchery course. He was beyond engaging, lots of tips and techniques and very thorough in his approach. Loved how he gave us a history of where you source your meat/poultry and his hands on approach to training. Will be recommending this to family and friends, excellent 2 hours spent and extremely good value for money. Had a fabulous night. 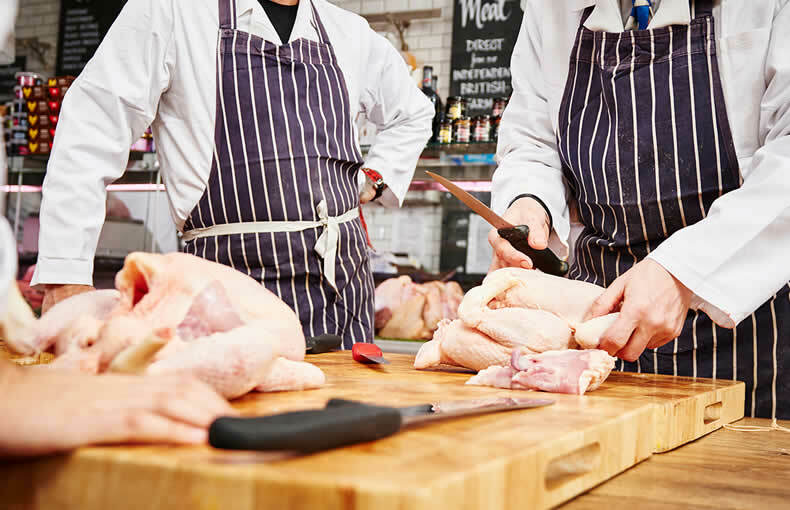 Butchery is a skill that not only requires good and careful use of a very sharp knife (hence the chain glove!) but also really knowing your meat.